1. Carole will be offering her first-ever talk for Canyon Ranch Guests on Thursday, February 25th - an experiential hour of exploring food memories. 2. The Berkshire Festival of Women Writers - Carole is offering a writing workshop, cooking demo and lunch on Friday, March 18th, 10am - 1pm. $50. Please call Carole 413-329-5475 to reserve your space. 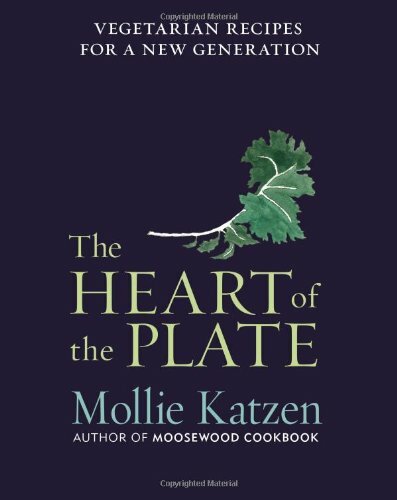 Opening Mollie Katzen’s The Heart of the Plate, I scan over the first page, where an illustration scribbles in faux-handwritten text: “What pulls us into the kitchen?” Below, she gives suggestions like Motivation, Access, Attitude, Variety, and Time Management. All are possibilities when one enters this space -- Katzen understands and strives to communicate it in her book by emphasizing a message of inclusion, where everyone is welcome in the kitchen. Kazen starts the book with a set of Vegetarian and Vegan Menus to ensure that a meatless meal can be satiating and satisfying. You can begin with Grilled Haloumi Cheese on watermelon slices, followed by a Mushroom Popover Pie, Mashed Broccoli on the side, and a Fruit-Studded Madeline Cake to finish. Another option is the Caramelized Onion Frittata with Artichoke Hearts, Zucchini, and Goat Cheese paired with a Grilled Bread and Kale Salad with Red Onions, Walnuts, and Figs. End the evening on a slightly-sweet note with the Brown Sugar-Roasted Rhubarb with Cinnamon-Toast Crumbs. I, however, would center my perfect meal around the Crispy-Coated Eggplant Parmesan “Burgers”, whose Parmesan exterior evokes memories of the rich and comforting eggplant Parmesan of my youth. Dredged in lightly-beaten eggs and seasoned with thyme, oregano, or sage, these are a step-up on the classic in both flavor and form. Taking on the shape of a burger, the eggplant is given all the excitement appropriate for a simple, but celebratory, backyard barbeque. The vegan menus are no more challenging to create than their dairy-accepting alternatives. Though the names are slightly more ethnic (Onion Pakoras dipped in Pomegranate-Lime Glaze, Mushroom Wonton Soup, and Muhammara -- a Turkish sauce akin to the Spanish Romesco), they still retain Katzen’s adherence to simplicity and accessibility. The Pan-Grilled Mushroom Slices require just a half-page explanation, cooking them simply in a pan of hot oil until golden, finishing with a sprinkling of salt. She also suggests using them as a bacon substitute, which can be done just by adding a little paprika to the mix. Use as a topping for any savory dish -- I’m thinking the Cajun-Style Tofu Burgers -- and you have a complete, delicious, and vegan meal. We have an image of French women being perpetually stylish, perfectly-coiffed and svelte, wearing a petite boatneck tee paired with a cropped skinny-leg pant. What is the secret to maintaining such proportions, when American women can’t seem to succeed at any one of the many diets they take on? In French Women Don’t Get Fat, Mireille Guiliano breaks through the French paradox, explaining that it is not a trendy refusal to eat carbs or a strict plan consisting of protein alone that amounts to a sustainable lifestyle. 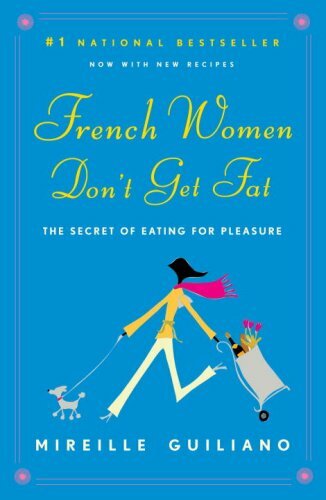 It is the continued practice of eating for pleasure, albeit in moderation, which allows French women to revel in life’s indulgences and enjoy a healthy physique. Mireille’s own struggles with weight gain as a French teenager studying abroad in the United States revealed the central issues of hefty portion size and automatized eating as the blame for American women’s unhealthy relationship with food. To start the weight-loss process and initiate the track towards healthy behaviors, Mireille suggests her recipe for Magical Leek Soup, a broth made simply of boiling leeks in water which one drinks several times throughout the day for 48 hours. She relies on this soup for immediate results after particularly indulgent periods throughout the year. Another trick is homemade yogurt, which Mireille loves including with breakfast or as a light snack or dessert. She praises the millions of bacteria in yogurt which promote healthy digestion and suggests pairing with a bit of honey, cinnamon, or fresh berries to make it more palatable than eating on its own. Mireille, however, prefers it plain, loving the tart, creamy combination that brings pleasure to every bite. She gives two recipes, one with a yogurt maker and one without. The latter involves just two ingredients, simply adding the heated milk to a starter, leaving the mixture to set in a warm place overnight, and refrigerating for another 8 hours before serving. When you have overcome these slightly more challenging weeks, Mireille gives recipes that are truly indulgent in their flavor, though still adhering to the rule of manageable portion sizes. The Chocolate-Espresso Faux Soufflé retains its namesake’s style and flair, but is simpler in preparation so that you can serve it for entertaining without fear that the soufflé will fall. Relying on the intense flavors of dark chocolate and espresso alone, there is no need for added sugar, making this a surprisingly light and delectable treat. Combining her not-so-strict eating plan with frequent but basic exercise (I’m not talking sweating it out on the treadmill!) 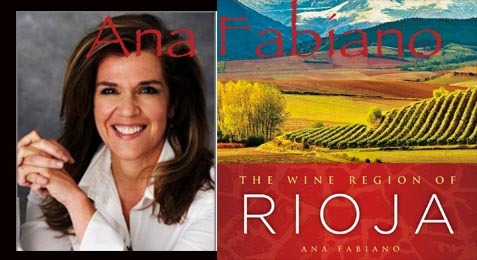 gives her readers peace and freedom in their approach to leading a practical lifestyle. She uncovers the mystery behind the French woman’s build, making it clear that it is not luck but the occasional indulgences which bring them happiness and health. Dreams of buttery brioche dance in my head when a bread basket gets passed around at dinner. Chef Susan Spicer’s Sweet Potato Brioche fulfills this request. Rich from six large eggs and a tender, chewy crumb from a purée of roasted sweet potato, rolls of this emerge from the oven in their bright and glistening glory. The artisan technique behind this recipe evokes the immense care New Orleans bakers give to their breads and sweets. They are patient with the dough, allowing it to rise in soft pillowy peaks for hours, knowing the final result will be worth the wait. A two-page spread is dedicated to “The Food of the Streets”, where Janette Desautel explains the cultural and economic importance of street vending for the city. For African-American women, both free and enslaved, it served as a financial opportunity. She also highlights Arthur “Mr. Okra” Robinson, who sold produce from his truck all throughout New Orleans, calling out the day’s pickings to potential customers. When his pick-up broke down, the city came together to raise money with benefits and donations that bought him a new truck and allowed him to continue to sell his produce -- a perfect example of how New Orleans supports and cares for one another. The street food scene holds Latin influence as well in the many taco trucks that frequent the city. With so many diverse options, finding something to eat, well-made and delicious, is never a challenge in the Crescent City. 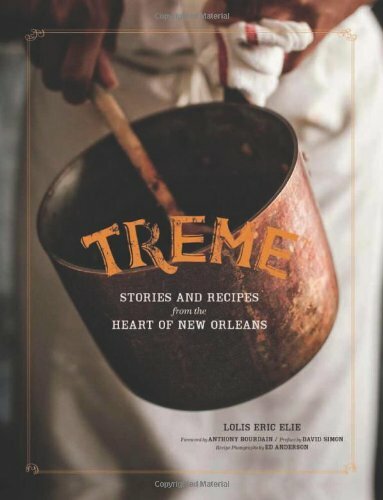 Treme is a beautiful mix of recipes and their contributors’ voices, explaining what the foods mean to them and how they represent their image of New Orleans. Toni Bernette admittedly states that he is not a great cook, but that he hates bad food and “wouldn’t knowingly give you a recipe for it”. This sentiment results in a simple formula for Pecan Pancakes -- the perfect Sunday breakfast, spent outside on a warm New Orleans day.